Industrial workplace mats , anti fatigue mats, workshop mats with anti static properties. Systems Design has a select range of hard wearing industrial mats to suit most workplace needs. workbench, assembly line, sales counter or any other workplace area where standing for long periods is a must. Helps insulate from cold surfaces. Dissipate electro static charges in environments with ESD requirements. Industrial mats with chemical, oil and temperature resistance. Mats for wet drainage areas and mats with fire resistant properties. Heavy duty workshop mats and anti fatigue mats. Top quality, long lasting work mats made to last. Standard cut sizes as featured with other dimensions also available on request. 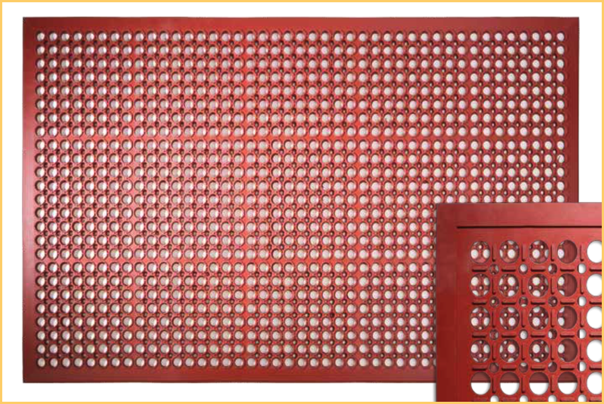 AIR - Industrial mat with a specially constructed flat Bubble mat surface that dampens and stimulates blood flow. Ergonomically approved design, cushions for superior comfort. SOFT FIT - An industrial mat with a Chequer Plate style surface, easy to clean and suitable for light usage with trucks & trolleys. A mat suited to twists and turns when standing. 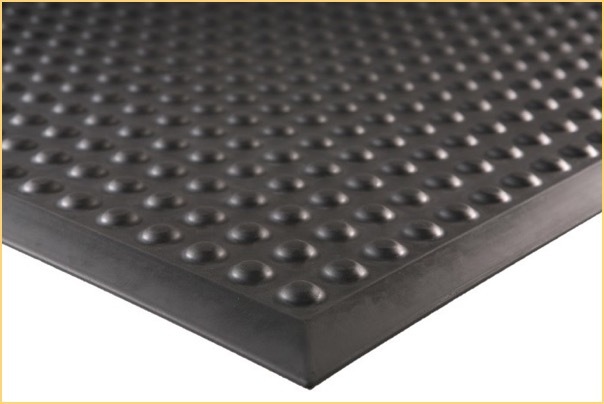 COMFORT - Nitrile rubber mat with all round capability. 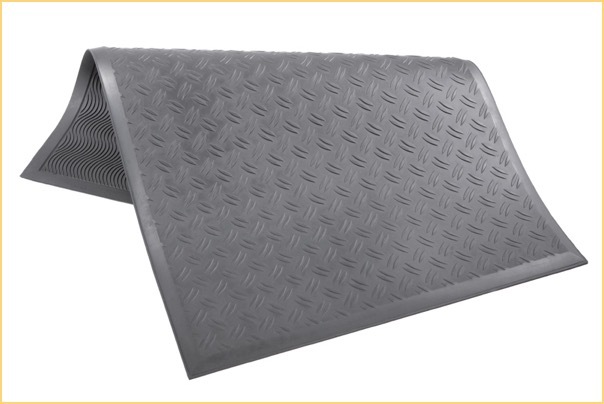 Very durable workstation mat, with resistance to oil, chemicals, and cooling lubricants. Small drainage channels. Yellow bevelled edge option. Applications: Cutting areas, CNC lathing and industrial areas where fluids are used, food industry. 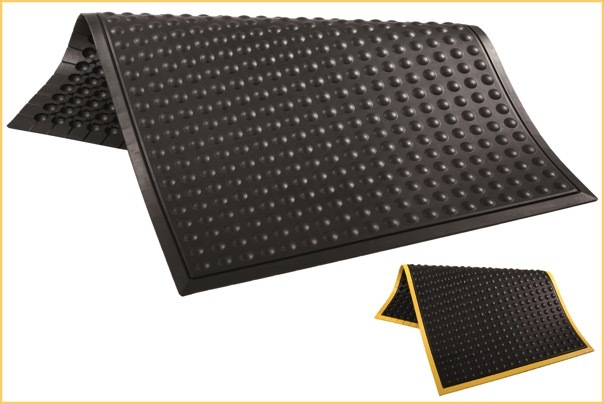 As well as the four mats featured here, we can also offer other sizes and types of industrial mat with the same outstanding quality and features to benefit production and reduce fatigue when standing in the workplace. Buy select workplace mats from only £42 delivered + tax.